Bayern Munich dissappointed in the first leg, where they ended up losing 3:1 making it extremely hard to advance in the UCL. After only a couple of minutes Xabi Alonso and Dante had made crucial mistakes leading to two goals for Porto. There will be no room for that kind of mistakes in the second leg, where the Bayern players are forced forward, as they need to score at least two goals. It is obvious that Pep Guardiola is missing some crucial players, but he can still line up with a world class squad. It is also expected that Ribery and Schweinsteiger will be in the squad, and they may get a few minutes if it is needed. Bayern rested some players on the weekend, where they beat Hoffenheim with 2:0. That gives them a good preview for the game this Tuesday in Allianz Arena, where everything is usually possible. Bayern Munich have had some big wins at home this season and the last one was against Shakhtar (7:0) in the previous round of the UEFA Champions League. In the league Bayern are 12-1-1 with at goal scoring balance of 43:6 this season, and another great performance is required now. 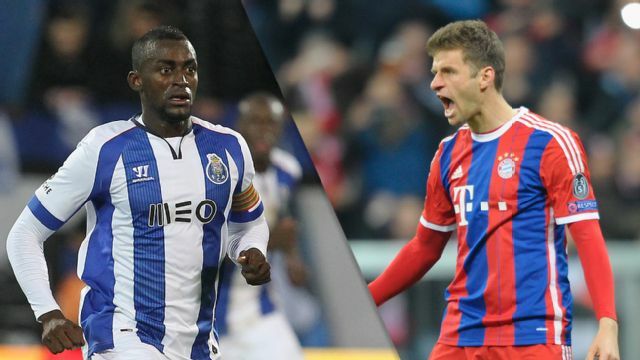 FC Porto team surprised everyone in the first leg, as they were better than Bayern Munich at some stages of the game. The Porto players managed to pressure the Germans in the build up play, and that was really important in terms of getting the win. Jackson Martinez was also an important player. He returned from injury, but still he caused the Bayern defenders quite some trouble with his strength. But there is no doubt that it will be a completely different game in the Allianz Arena, where Bayern will have all the support they need. Porto are stronger at home, as they had some trouble in away games against Shakhtar (2:2) and Basel (1:1). Porto had the advantage that they could rest almost all players on the weekend, where they got a narrow 1:0 win against Academica. The Portuguese side have incredible faith after the first game, but they might be overwhelmed with the atmosphere in the Allianz Arena. Besides, it is a big loss that both Danilo and Alex Sandro will be suspended for this game. Bayern Munich: Neuer – Rafinha, Boateng, Badstuber, J. Bernat – Xabi Alonso – Rode, Alcantara – M. Gotze, T. Muller – Lewandowski. FC Porto: Fabiano – Pereira, Maicon, Marcano, Martins Indi – Casemiro, Herrera – O. Torres, R. Quaresma, Brahimi – J. Martinez.